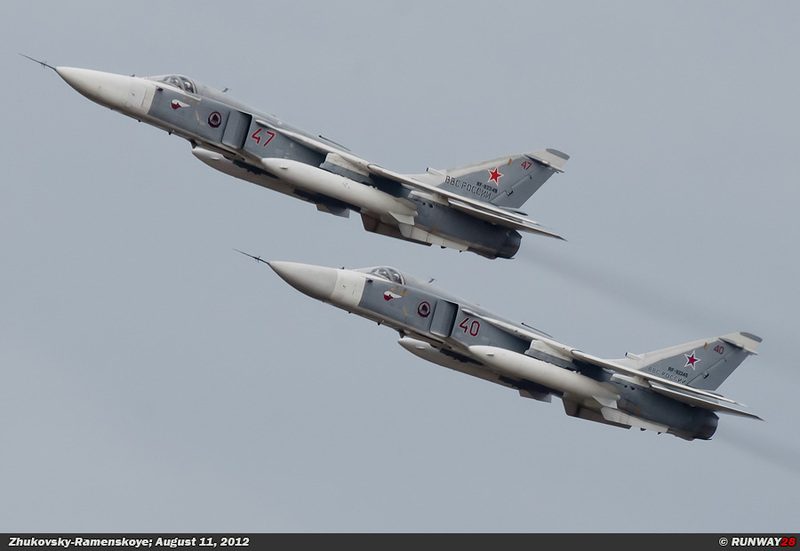 The Russian bombers were for many years a real plague for the air defense units of many NATO countries. 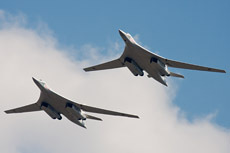 The strategic bombers which crossed the oceans were intercepted when they flew along the NATO borders. 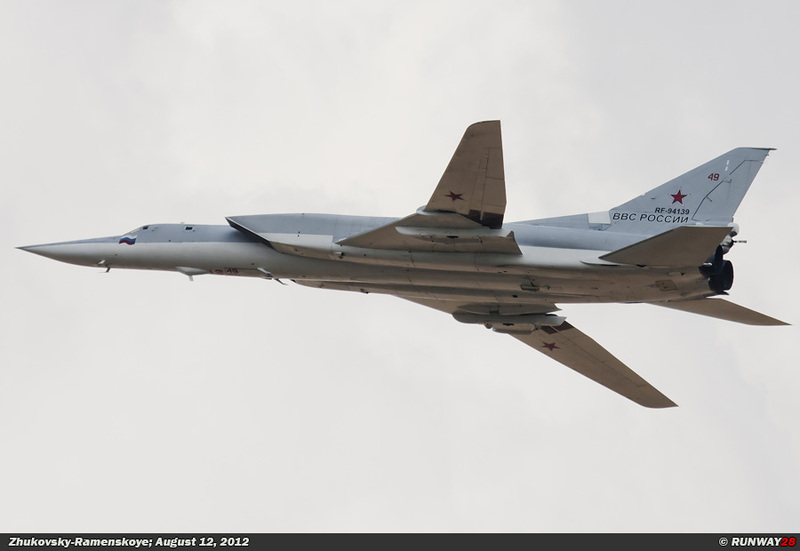 The Russian Air Force operates 3 types of bombers, namely; Tu-22 Backfire, the T-95 Bear and Tu-160 Blackjack. 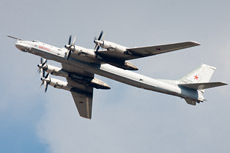 The Russian bombers played the most important role in the cat and mouse game during the Cold War. 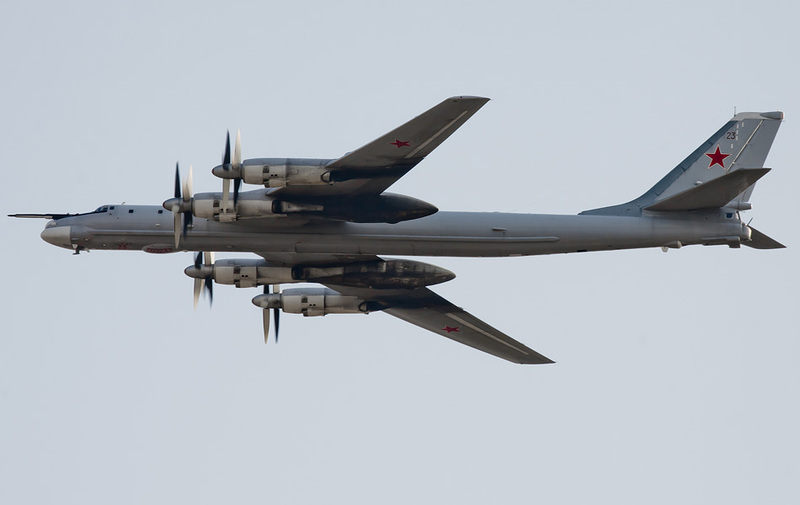 Especially the Tu-95 Bear was regularly intercepted above the seas and oceans around Western Europe and the United States. 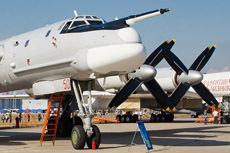 The Russian name for the bomber fleet is Bombardirovshchiki (Бомбардировщики). 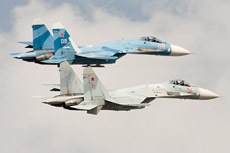 The most famous base in Russia is Engels Air Base near the city of Novgarod. 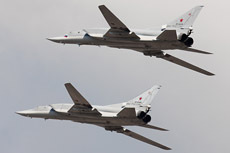 The Russian bombers fly missions on a weekly base over the north of Europe along countries like Norway, the United Kingdom and the Netherlands. The planes fly briefly along the boundaries of international waters to test the QRA of these countries. The bomber fleet consists of 3 types of aircraft. 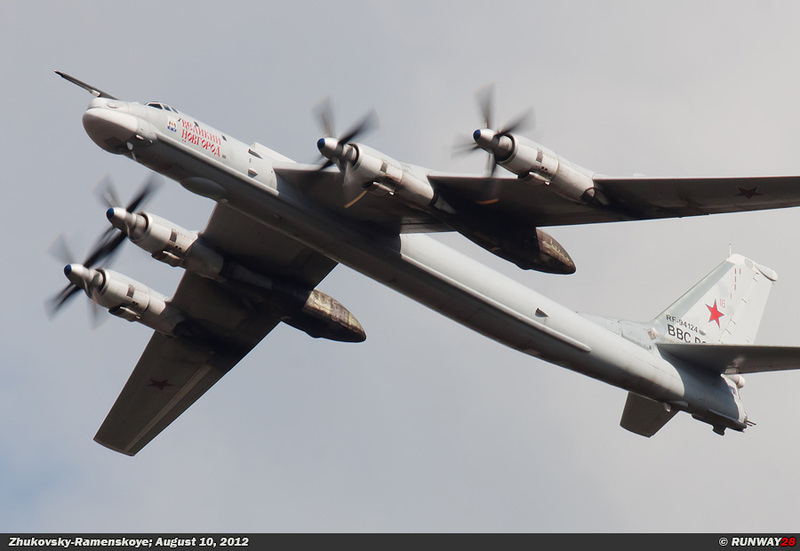 The most famous bomber is the Tu-95 Bear. 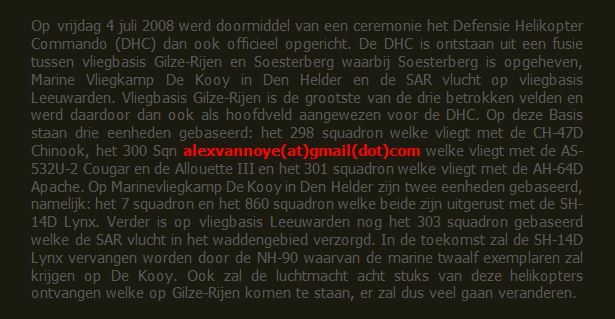 This large bomber is equipped with heavy counter-rotating turboprops and is therefore able to fly enormous distances. The aircraft is a classic bomber from the 50s. 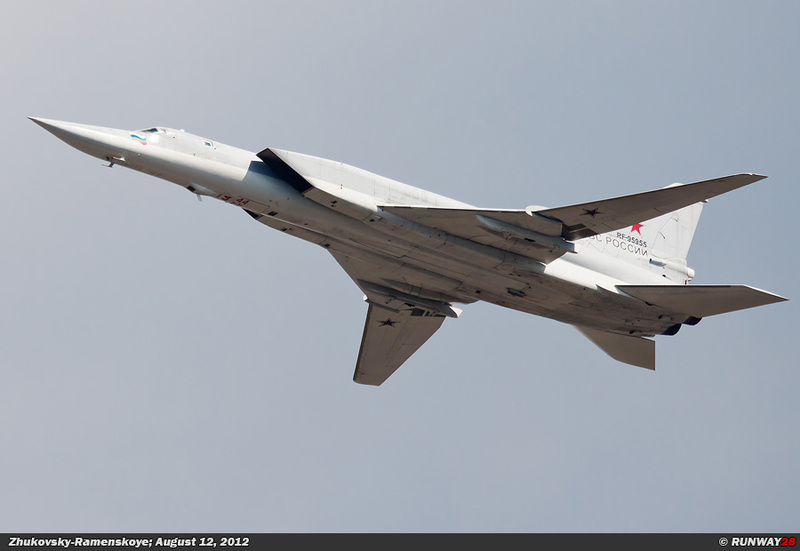 The Tu-22 Backfire is an oversized fighter-bomber with nuclear weapon capacity which can strike quickly and effective. This bomber is supersonic and it can operate at low altitudes. 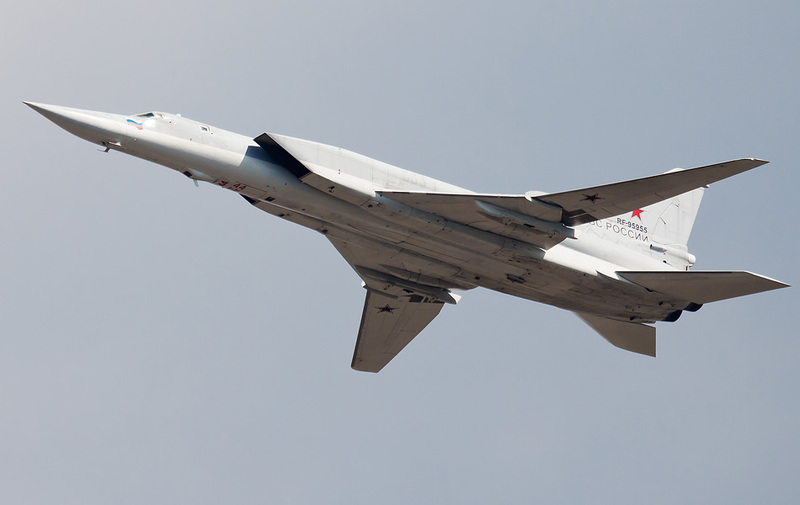 The third bomber in the Russian strategic bomber fleet is the Tu-160 Blackjack. This super- sonic strategic bomber is capable to invade enemy territory at low altitudes. 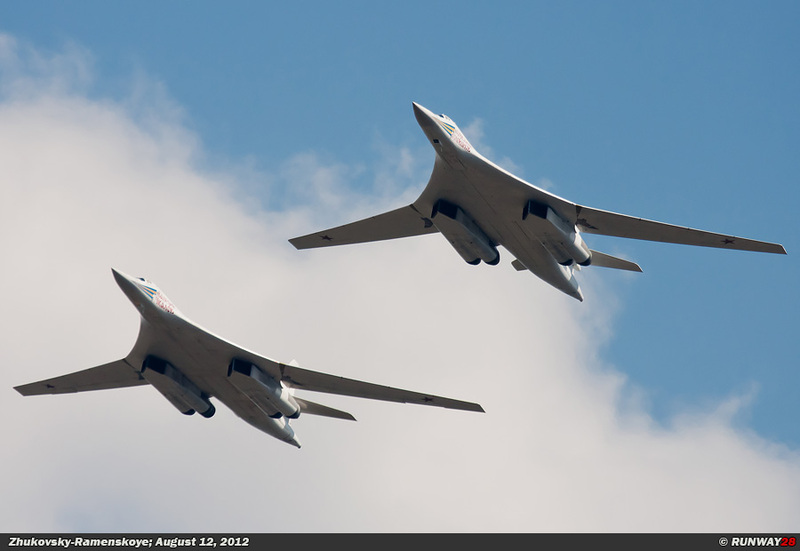 The Russian strategic bombers are a real problem for the NATO countries; these aircraft are regularly intercepted along the European borders. the Cold War. 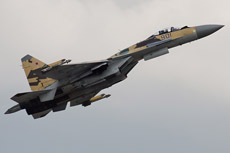 The aircraft was equipped with the Raduga Kh-22 missile. This missile was developed as a long-range anti-ship missile. The missile can contain a nuclear head and is specially designed to destroy the American aircraft carriers and their protecting battle group. The Backfire is able to carry a total of 3 of these missiles simultaneously. Two missiles can be mounted under the wings and a one can be mounted under the fuselage. 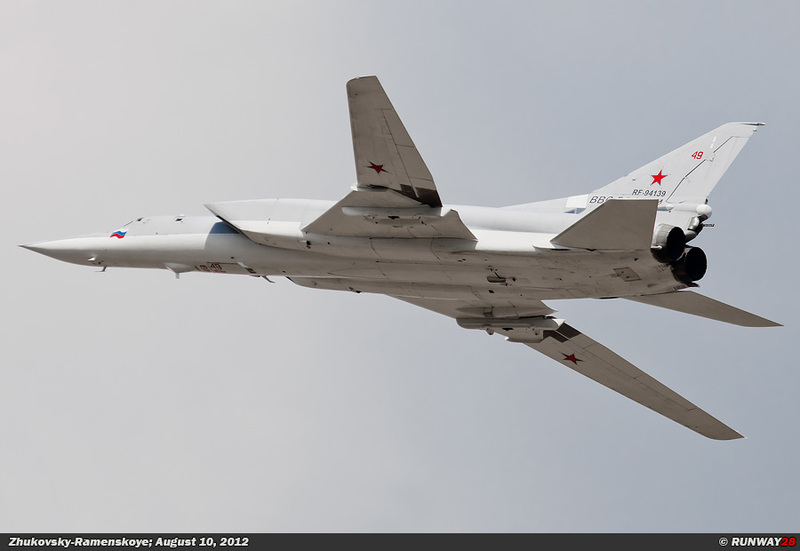 The Tu-22 was first used in war by the Soviet Union during the war in Afghanistan between 1987 and 1989. The Tu-22 was especially used as a conventional bomber. 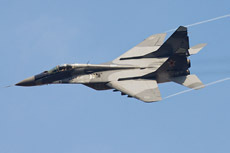 The Backfire was also used during the rebellion in Chechnya in 1995. 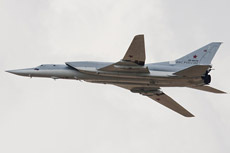 The Tu-22 then performed many bombing raids on targets in the capital Groznyy. 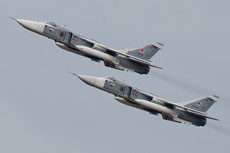 The Tu-22 Backfire was also deployed during the war in Ossetia in 2008. 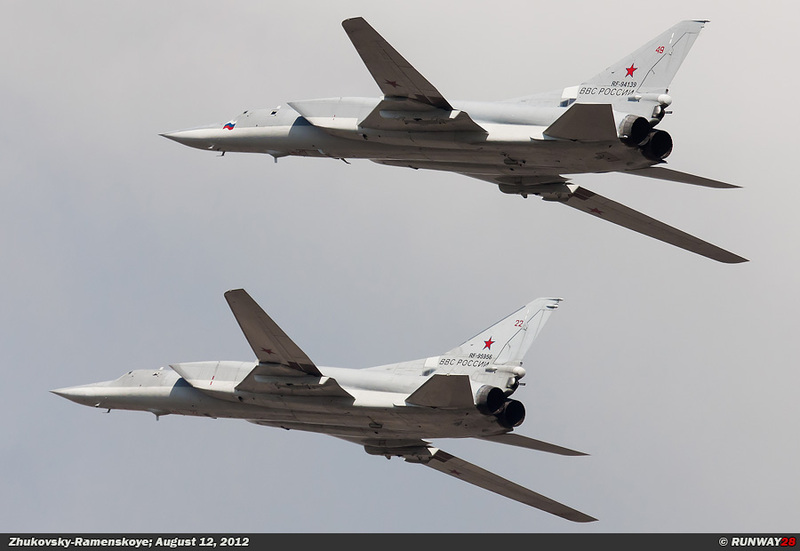 The Russian VVS currently has an estimated fleet of 134 Tu-22M3 Backfire bombers in service. A part of this fleet will be upgraded in the upcoming years. 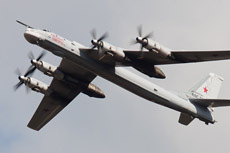 The most famous plane of the Russian strategic bomber fleet is the Tupolev Tu-95 (Туполев Ту-95). The NATO code name for this aircraft is Bear. 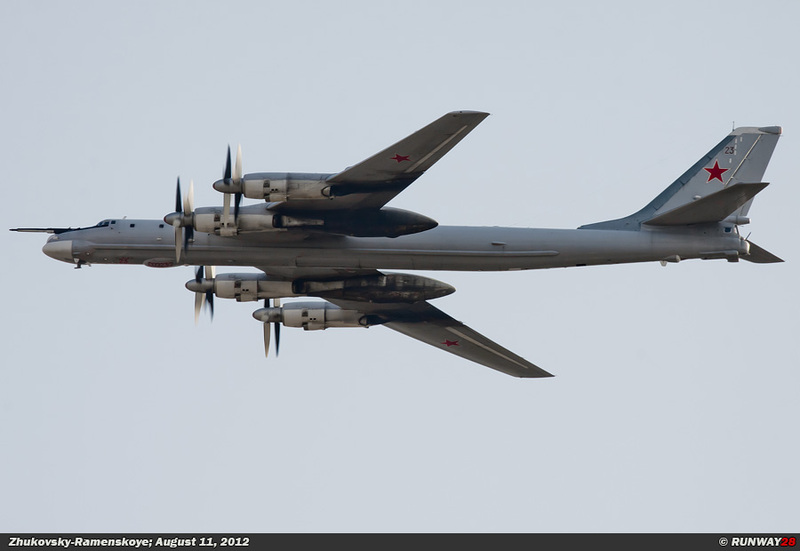 The Tu-95 is the Russian counterpart to the American B-52 Stratofortress. 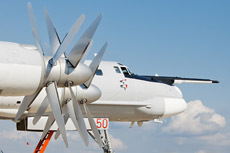 The aircraft is powered by four Kuznetsov turboprop engines with counter-rotating propellers. 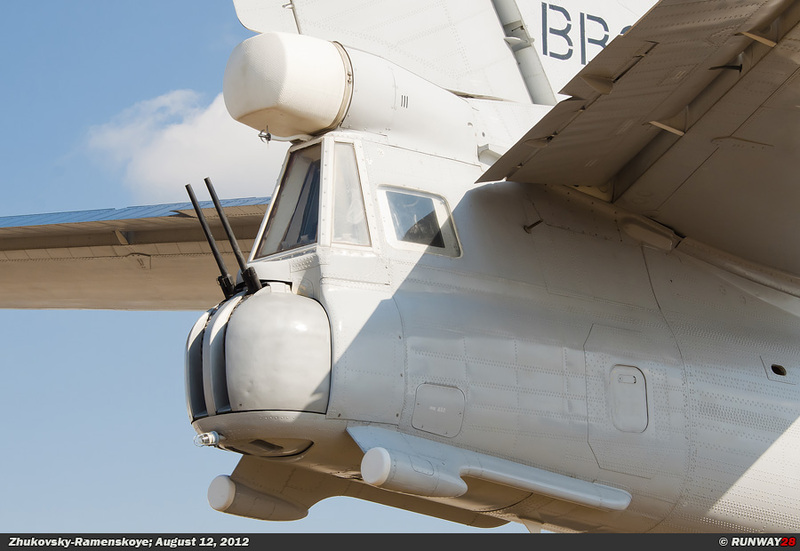 These engines make the Bear one of the noisiest aircraft in the world. 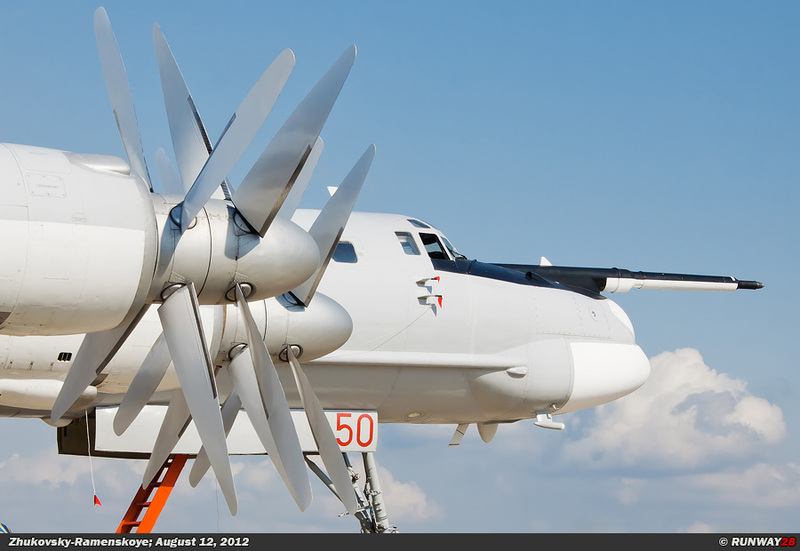 The Bear is the only turboprop bomber in the world which is still in active service. The aircraft is powered by propellers, but the Bear is able to reach a top speed of over 925 km/h. In the early years it was not know that the aircraft could reach this speed. Not all Western warplanes were able to keep up with the Bear; an example is the SEPECAT Jaguar. The development of the Bear started at the beginning of the 50s. This resulted in a first flight on November 12, 1952. The series production of the Bear was started in 1956. 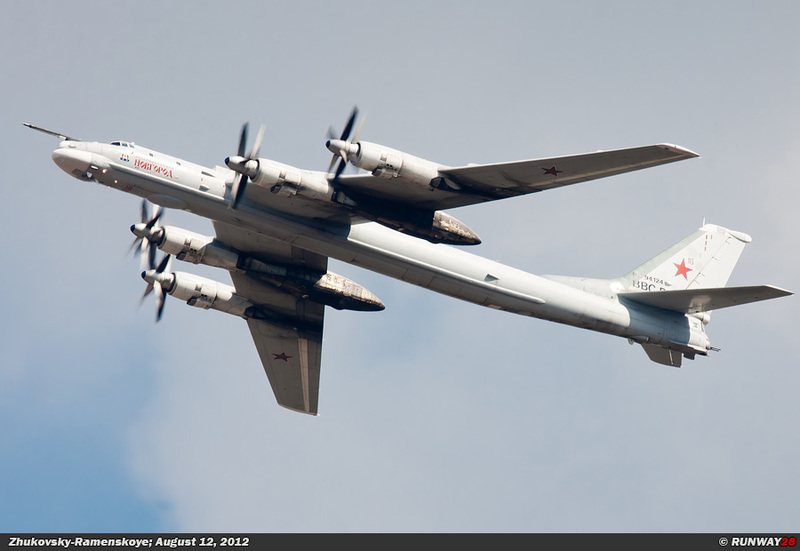 The Bear was the first Russian bomber which could reach the United States. The armament of the Bear contains a tail gunner and a bomb load of up to 15 tons. The bomb load of the Bear can contain various types of weapons. The standard load consists of conventional bombs, but bombs with a nuclear payload can be carried as well. 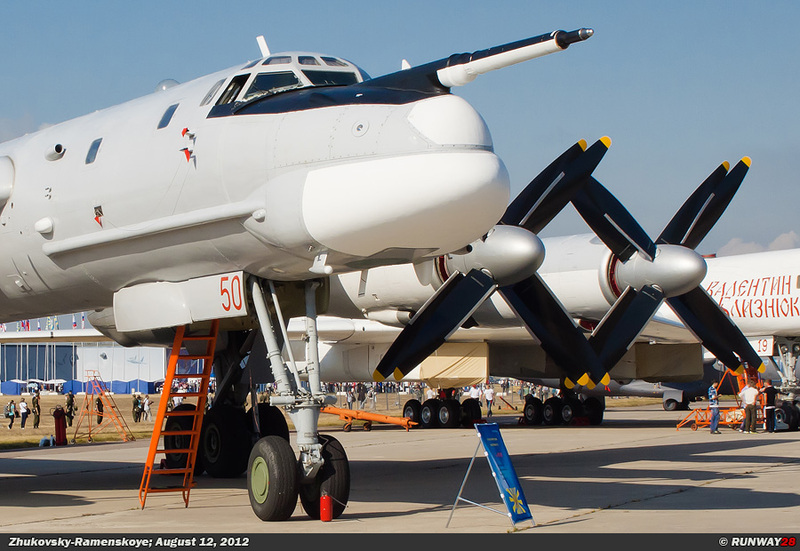 In addition to these weapons, also strategic missiles can be fitted underneath the Bear, such as; the Kh-20, the Kh-22, the Kh-26 and the Kh-55. There are currently 63 T-95 bombers in active service within the Russian VVS. 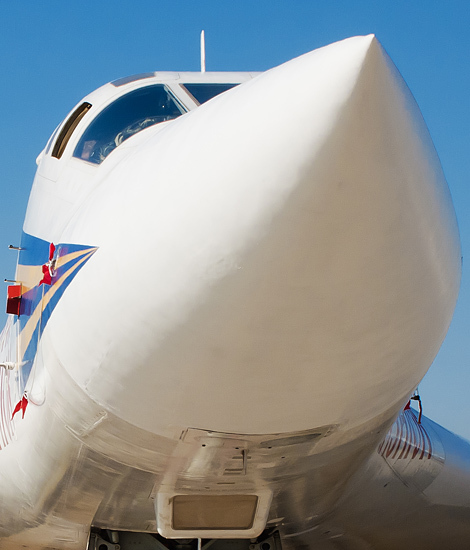 The Tupolev Tu-160 (Туполев Ту-160) is the largest military supersonic aircraft in the world. This big aircraft is called the Blackjack within the NATO. This large bomber is derived from the American Rockwell B-1 Lancer. 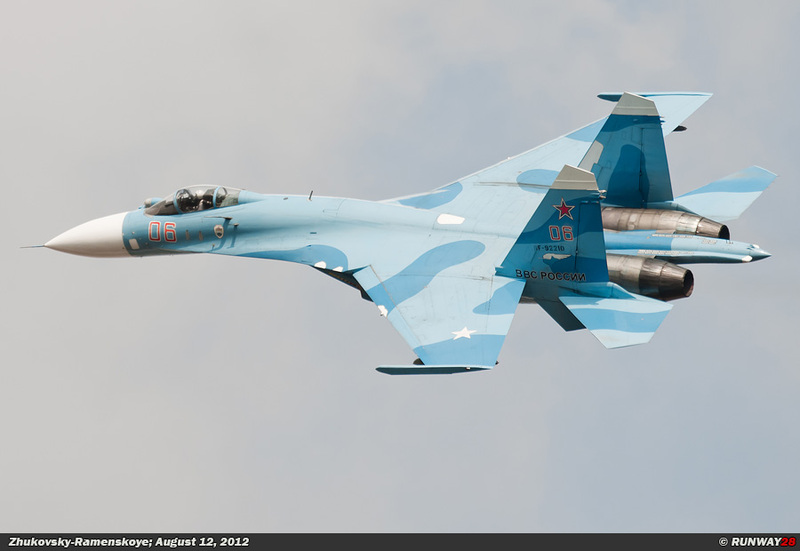 Actually, the aircraft is a copy of the B-1. 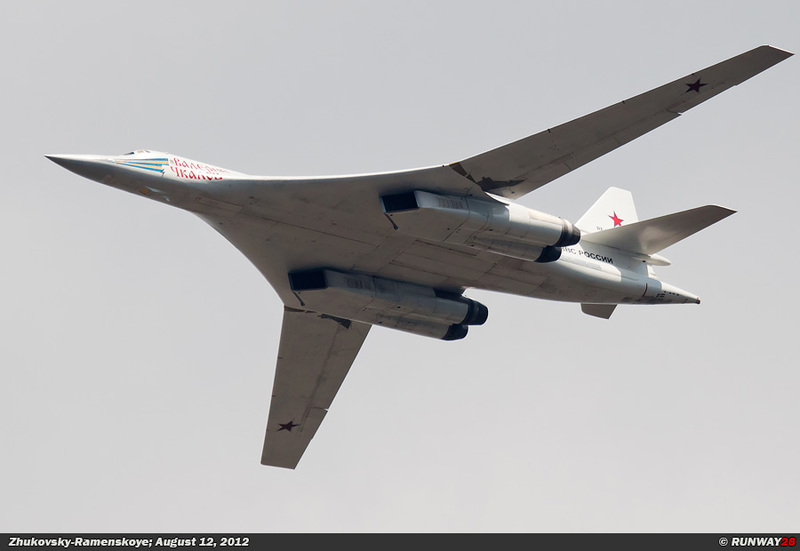 The big difference is the weight of the plane, because the Tu-160 is much heavier. 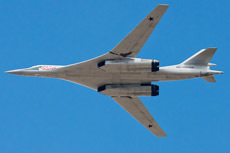 The Tu-160 is equipped with a swing-wing construction. 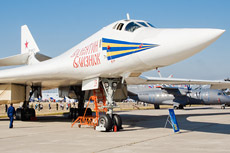 The prototype of the Tu-160 was observed for the first time at Zhukovskiy in 1981. 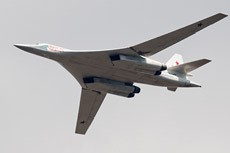 The Tu-160 was in taken into service by the VVS in 1986. 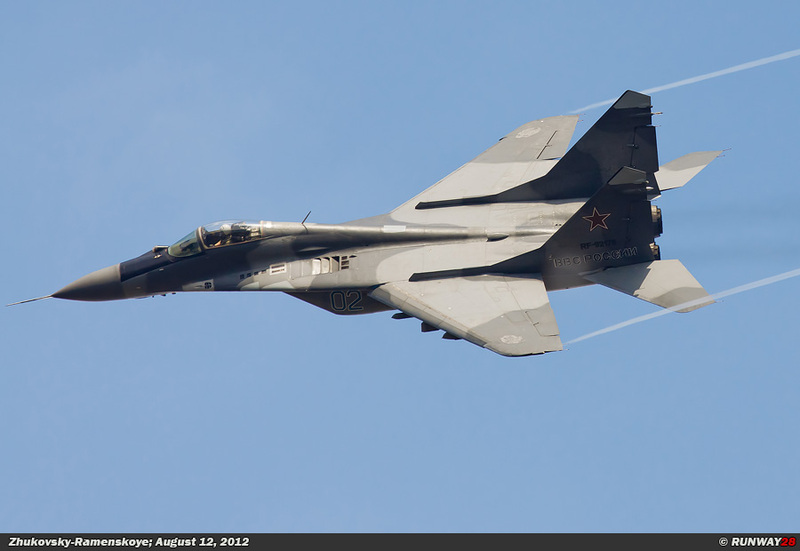 The aircraft is able to reach a speed of more than Mach 2. 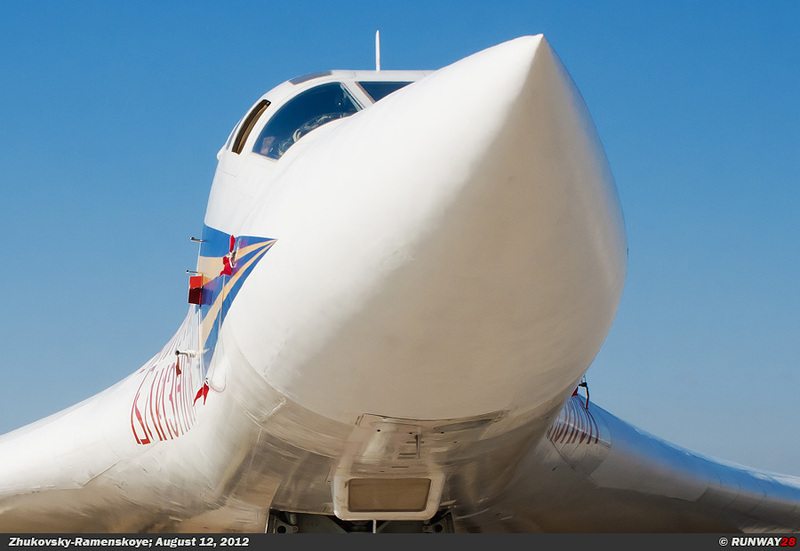 The Tu-160 has 2 internal compartments; up to 50,000 kg of bombs can be carried inside these compartments. The primary weapons which can be carried by the aircraft are conventional bombs and laser guided bombs for precision bombing. 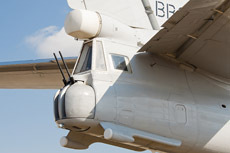 Internal rotary launchers can be mounted inside the aircraft since the upgrade in 2006. These rotary launchers are able to carry 6 Raduga Kh-55 cruise missiles or 12 Raduga Kh-15 short-range nuclear missiles. 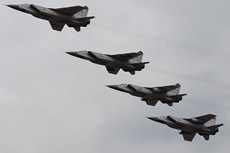 President Putin announced the Russians would start again with long-range patrols along the NATO borders in 2007. 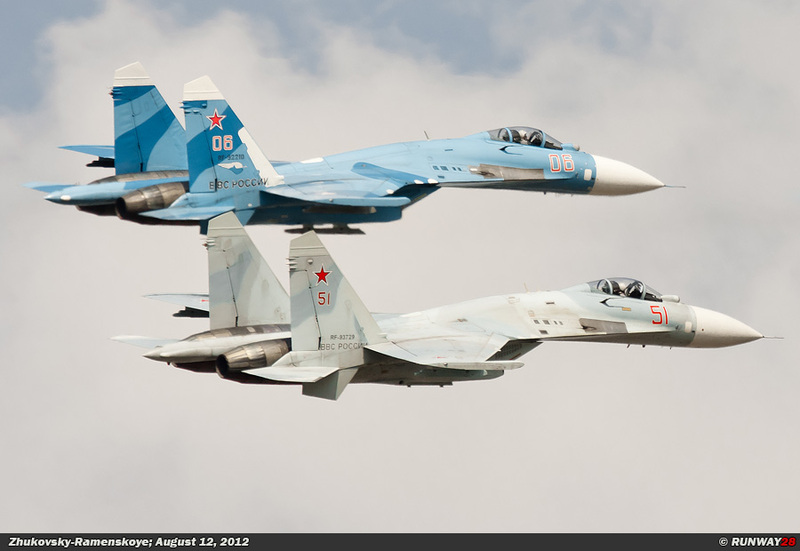 Norwegian F-16s intercepted a few Tu-160s over the North Sea and the Arctic Ocean in the same year. 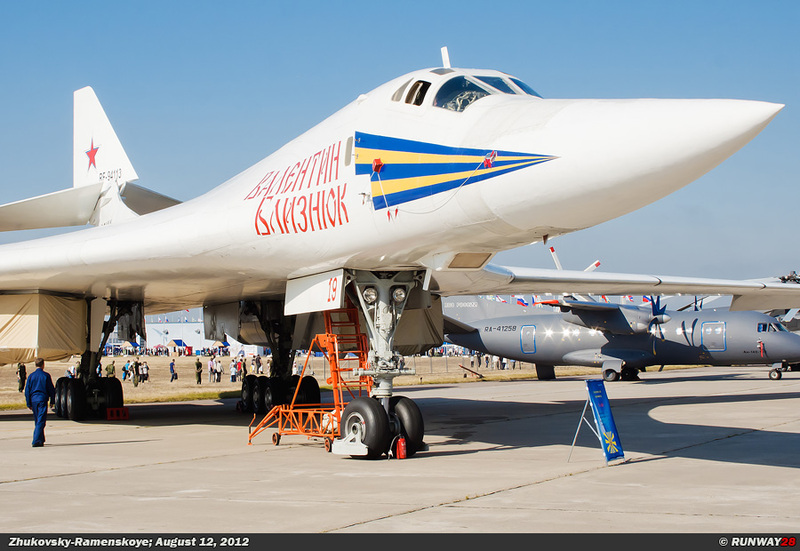 Only 35 Tu-160 supersonic strategic bombers were built. 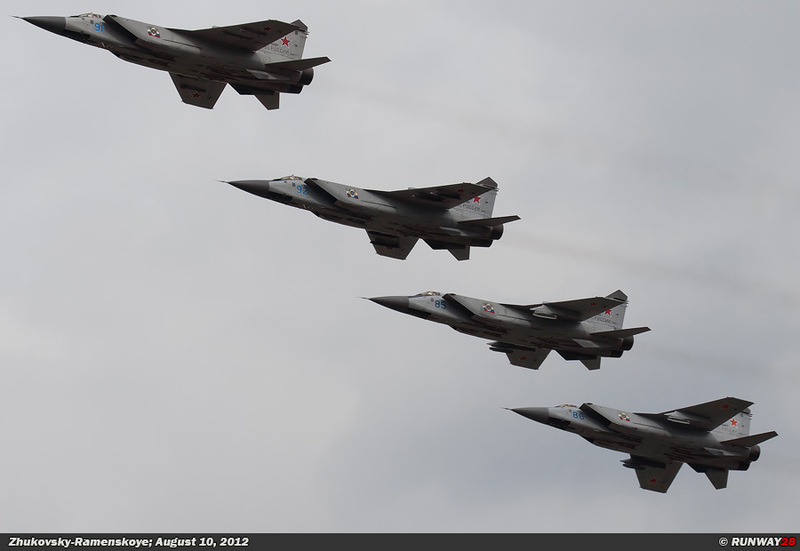 The original order contained 100 aircraft, but it was cancelled due to the collapse of the Soviet Union. 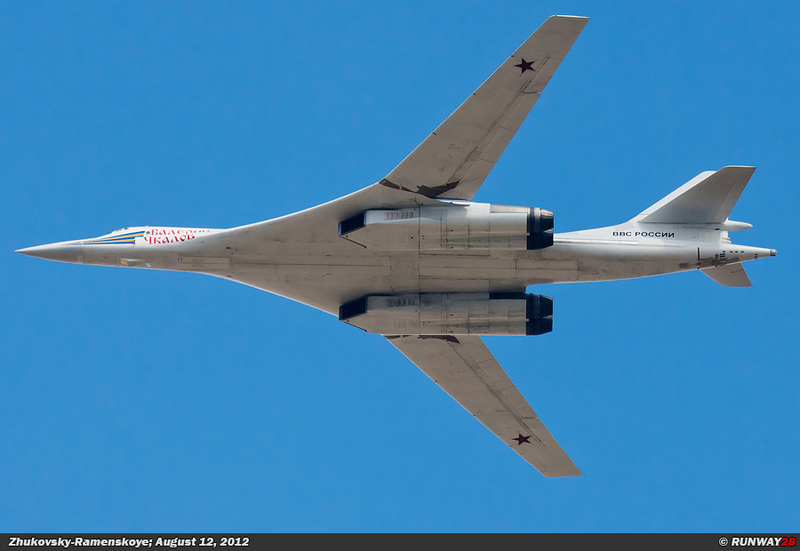 Nowadays only 16 Tu-160 bombers are still in service within the VVS. The expectations are that all these aircraft will remain in service in the VVS for the next decades.